“Where can we get some really good seafood?” If you’re a Bostonian, you know that when you hear this question, the pressure is on – the lights seem to get low, the sweat somehow starts to drip and all eyes in the room piercingly turn toward you. Seafood is a staple in New England, so this should be an easy answer, right? Not so fast. This query is loaded – locked and loaded really, so much so that it makes you realize that you’ve “been there done that” around the local seafood scene, but more often than not, you’ve been disappointed. From buckets full of rubbery clams to an overdone piece of palm-sized fish for $40, seafood restaurants in Boston can run the gambit from bad to worse, to overpriced to overhyped. But don’t fret you titans of tuna, you suckers for scallops – Turner Fisheries on the first floor of the Westin Hotel in Copley Square is the definitive answer to all of your seafood uncertainty. Offering fresh, sustainable and creative dishes that are both reasonably portioned and priced, Turner Fisheries is hook, line and sinker a catch above the rest. Turner Fisheries and Chef Armand Toutaint recently introduced the restaurant’s new fall menu, showcasing a slew of seasonally-inspired dishes and highlighting an adherence to sustainable seafood. 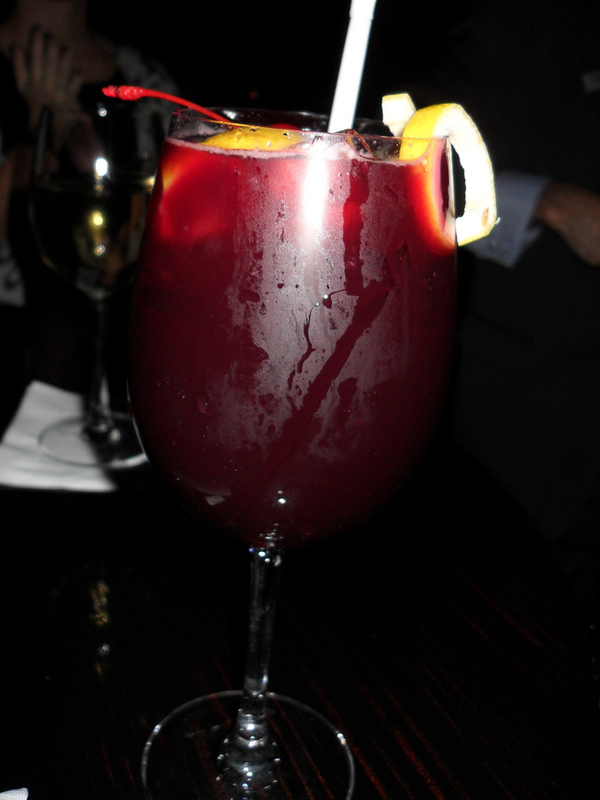 To start the evening, I sipped on a sweet red sangria, frosty cold and brimming with bits of seasonal fruit. The delicious drink got my appetite going, so when I saw multiple waiters carrying multiple plates of appetizers toward me, my stomach growled with delight. 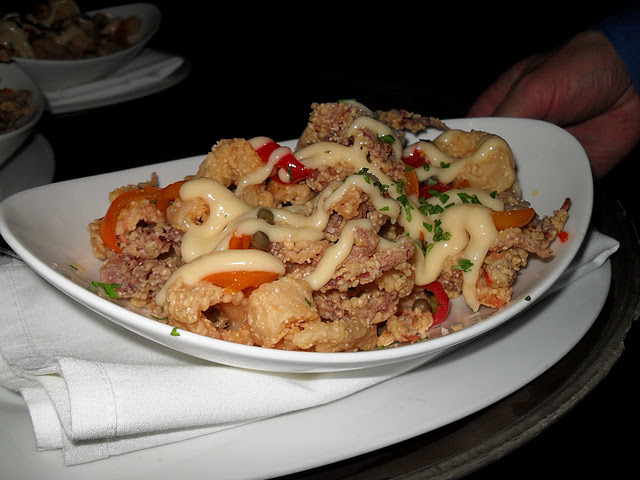 Gorgeous golden rings of calamari were decorated with briny capers and sweet red peppers, drizzled with a roasted garlic aioli and devoured by all. The squid was crisp, light and perked up by the bite of the capers, but the cooling effect of the creamy aioli created a balance beyond belief. 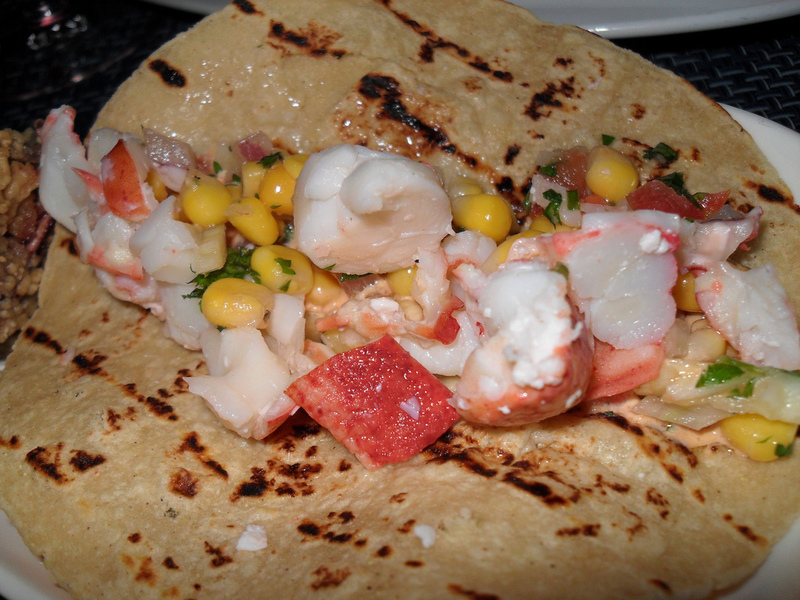 Next up were lobster tacos brimming with hunks of juicy, sweet, unadulterated lobster meat, which were equally beautiful to eye as they were the taste buds. The cubes of crustacean sat atop a corn and red onion salsa, an element that combined with the lobster to add an additional layer of sweetness to the dish. Don’t worry though…there was nothing saccharine here, as the smoky char of the grilled wheat tortilla – the perfect vehicle to serve myself a heaping helping – coupled with its fillings to create a match made in heaven. 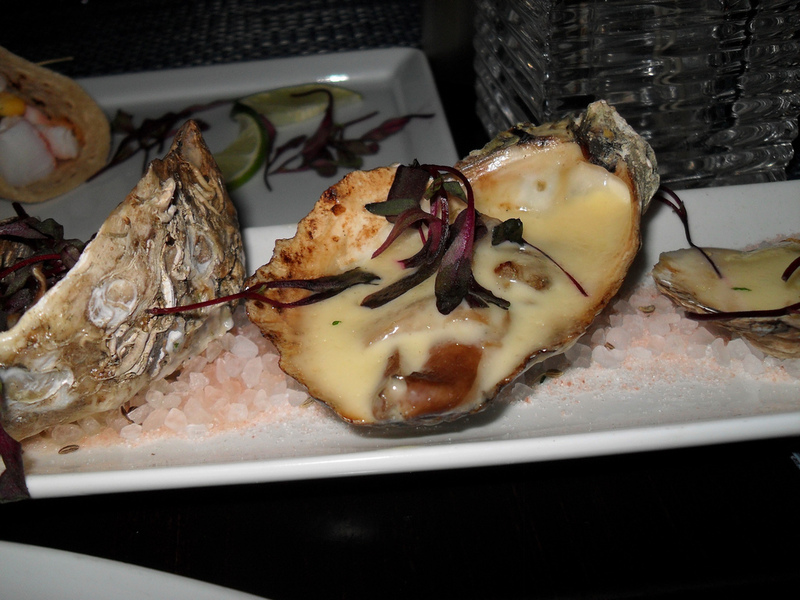 Turner also managed to take the oyster to another level by adding some heat – literally. Instead of going the typical traditional route, Turner’s Island Creek Oysters were served cooked: expertly grilled over the flame and dotted with maitaki mushrooms all while bathing in a riesling cream. 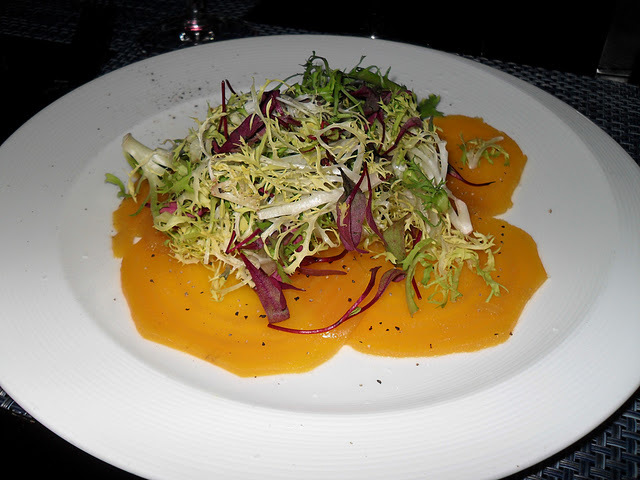 To make sure Turner knew how to bring it outside of the seafood scene (or maybe just to make myself feel better about eating fried calamari and lobster tacos), I ordered the poached golden beet salad. Thinly sliced and tender to the bite, the vibrant yellow beets essentially glowed against the stark whiteness of the plate, expertly fanned out to support a nest of peppery frisee greens. The salad comes dressed in a sherry vinaigrette and adorned with crumbles of goat cheese, but I opted to simply eat my veggies like a good girl – and boy was it good! There are few things that appeal to me more than the deep, velvety purple and red hues of a quality tuna steak, and while at Turner, I saw exactly what I liked. 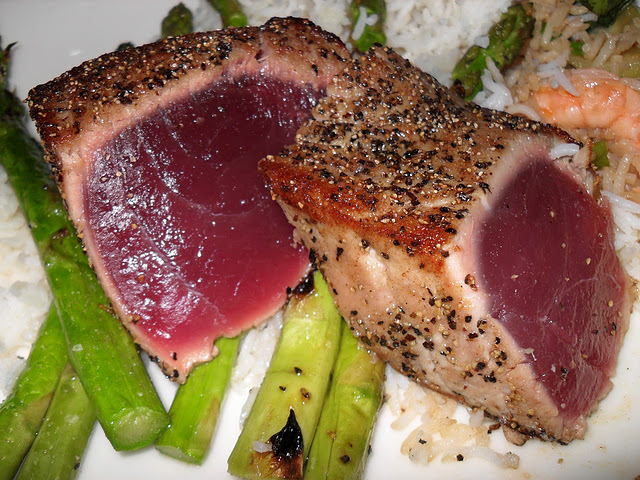 For my entrée, I indulged in the seared ahi tuna, which was done to perfection – a peppery cooked crust encased the raw, jewel-toned center of the steak. Three massive, yet still delicate, pieces of tuna – which, by the way, were literally fork tender – got a nice boost from an aromatic bed of cardamom-scented jasmine rice, tender grilled asparagus and a not-too-spicy bok choy kimchi. My entrée defined what seafood should be, as it managed to bring a creative twist to a standby dish, yet not tarnish its integrity in any way. So spread the word – Turner Fisheries knows its seafood. Turner Fisheries is proud of its product. And Turner Fisheries is the answer to all of your seafood dilemmas. From the atmosphere, to the service, to most importantly the food, Turner Fisheries is a consistent and confident seafood restaurant that deserves to be your go-to Boston best.